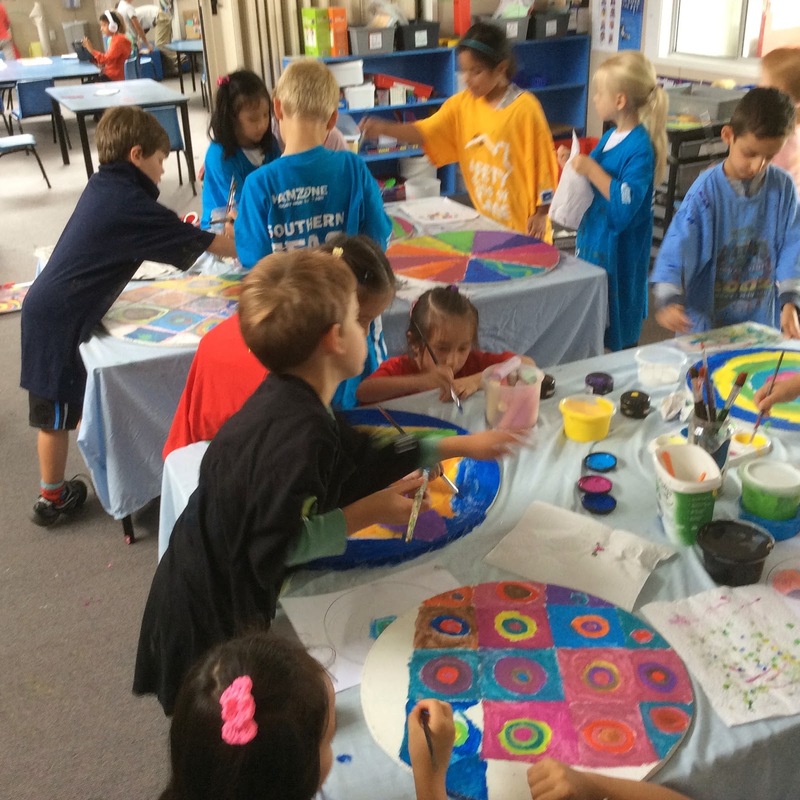 Week 9 was very exciting :) Every room in our school planned an activity which would enhance our school environment. 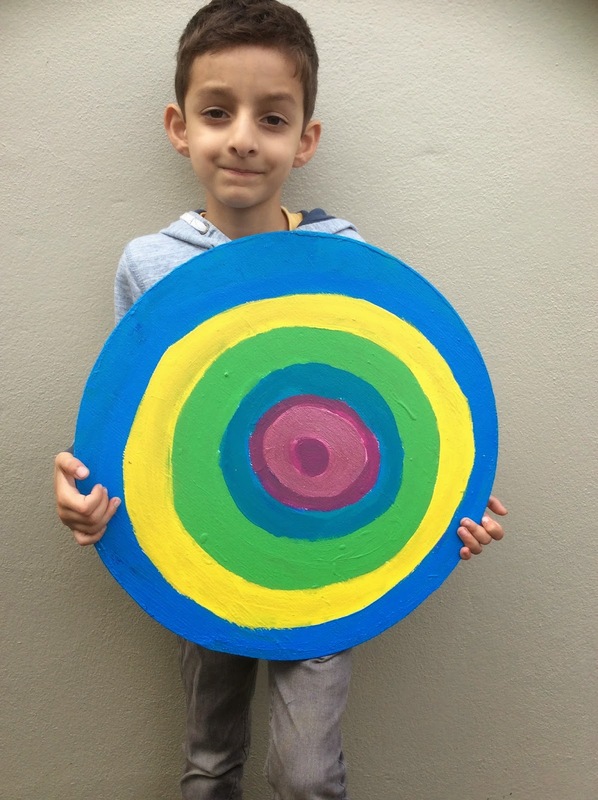 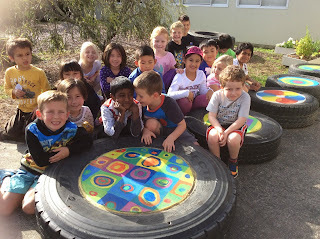 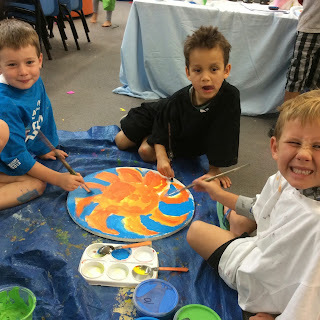 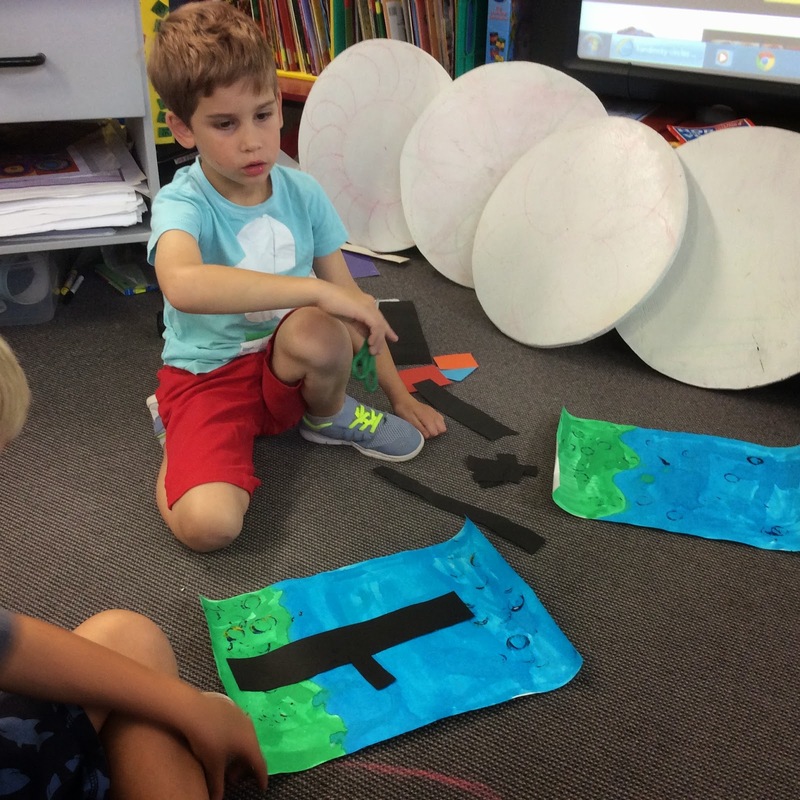 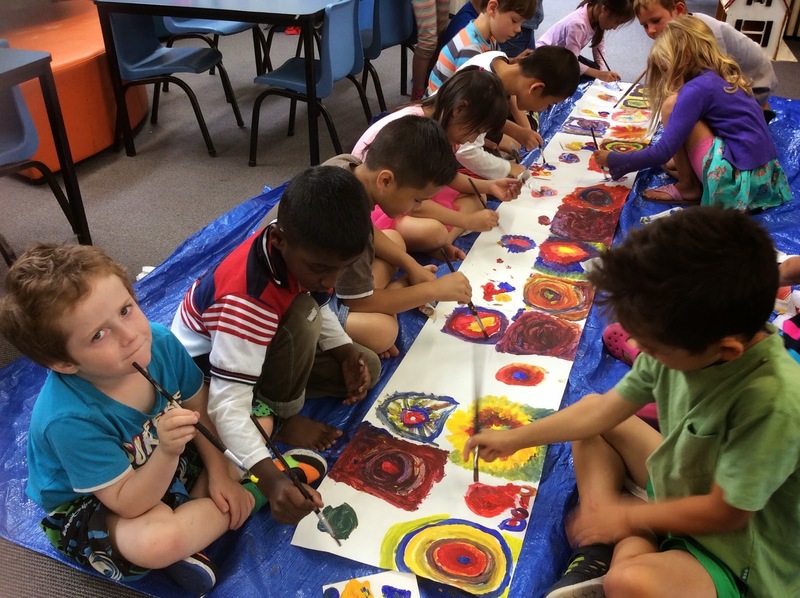 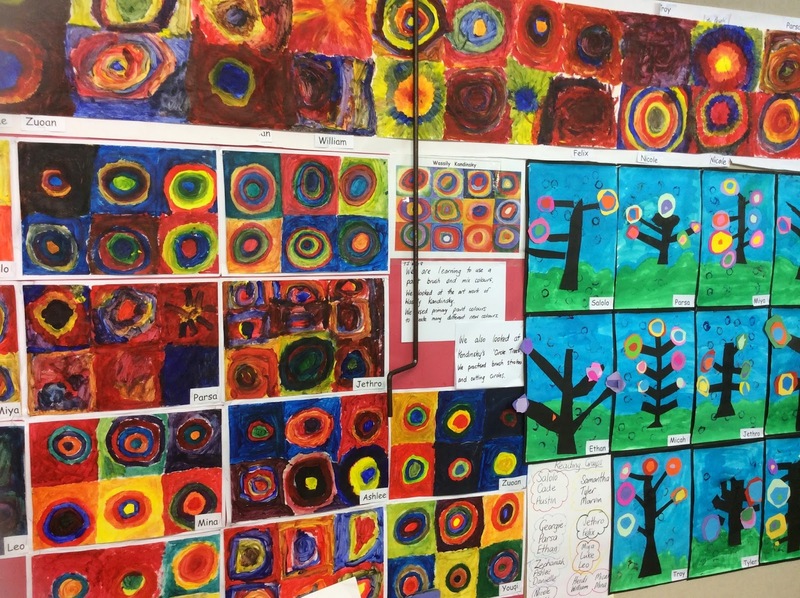 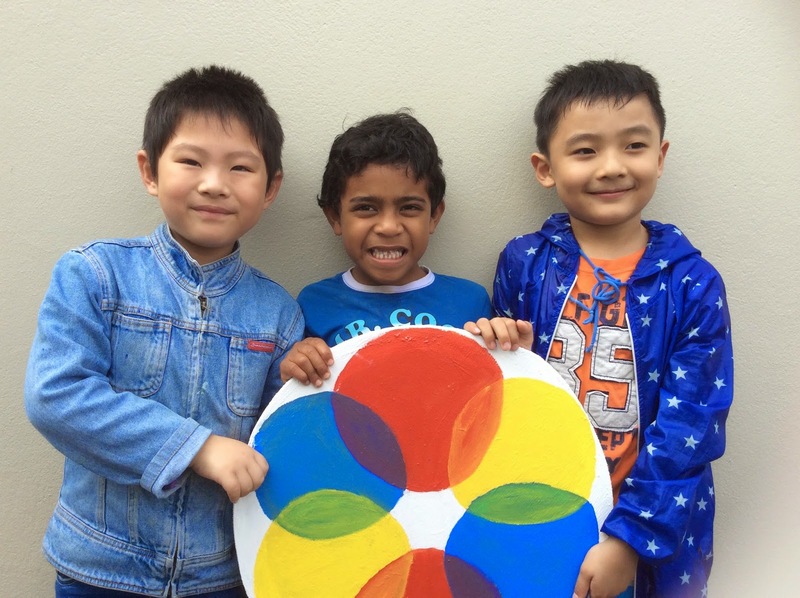 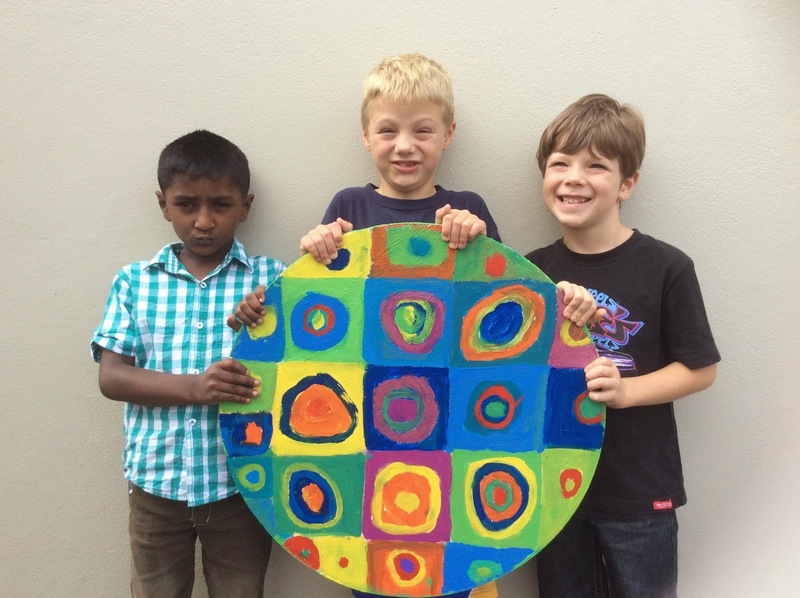 Room 10 were given the opportunity to design and paint circles which would then become tyre seats. 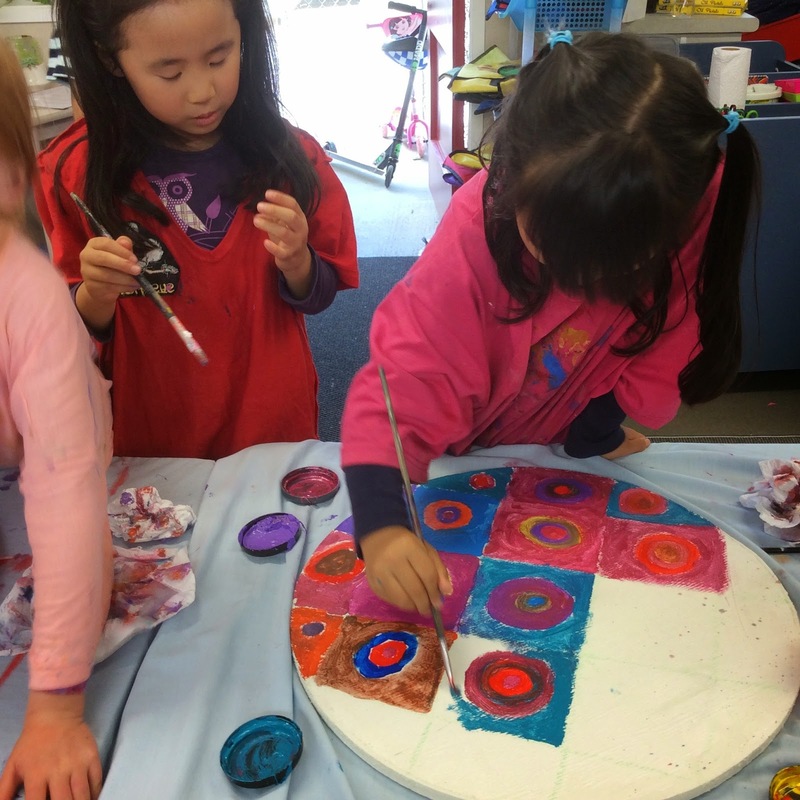 First of all we needed to fine tune our painting skills, such as how to hold a paint brush and how to mix colours. We did this by working together on one large sheet of paper. We practised mixing primary colours (yellow, red, blue) to make secondary colours, and practised how to use a paint brush correctly. 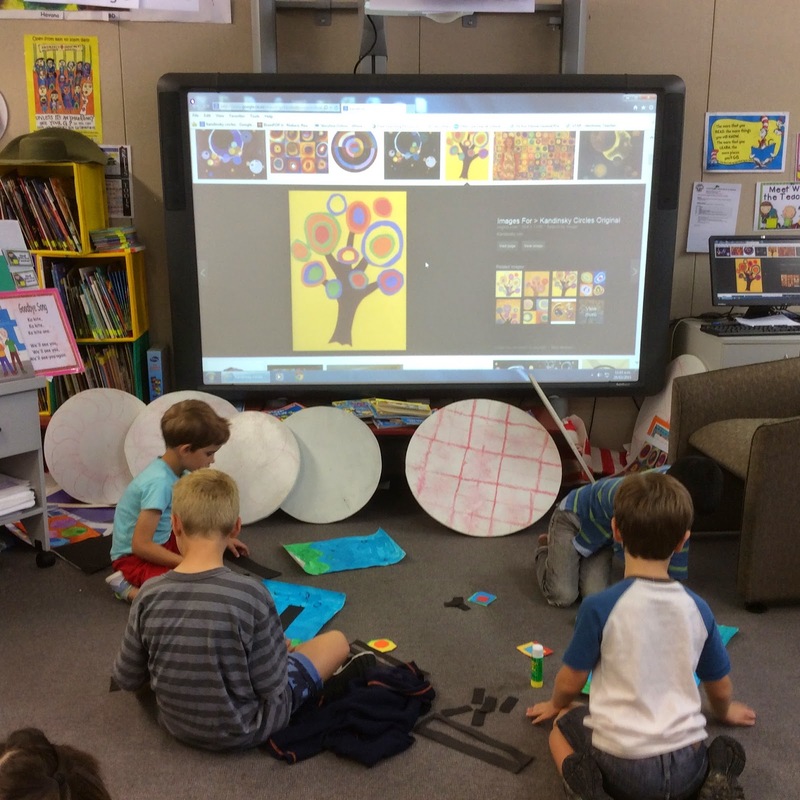 We viewed the artworks of Vasilli Kandansky. We used some of his ideas to practise paint and brush techniques. 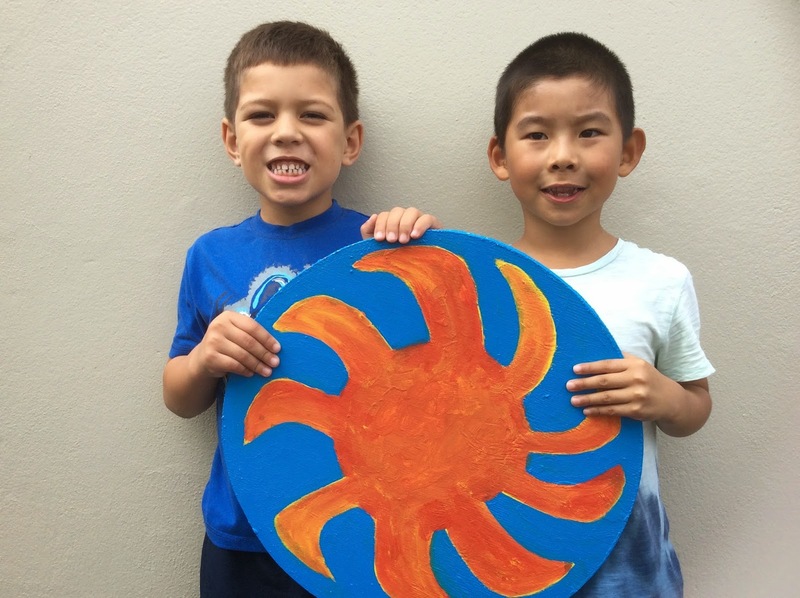 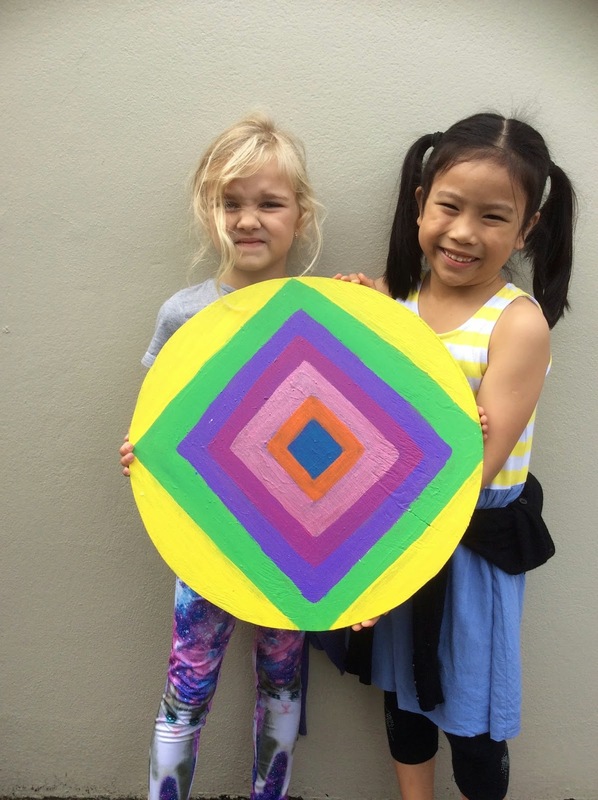 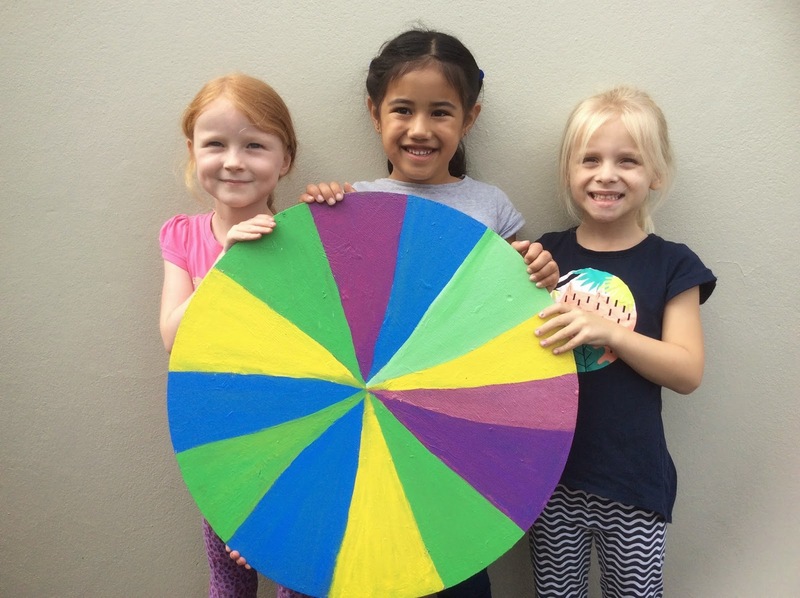 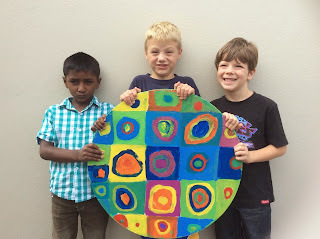 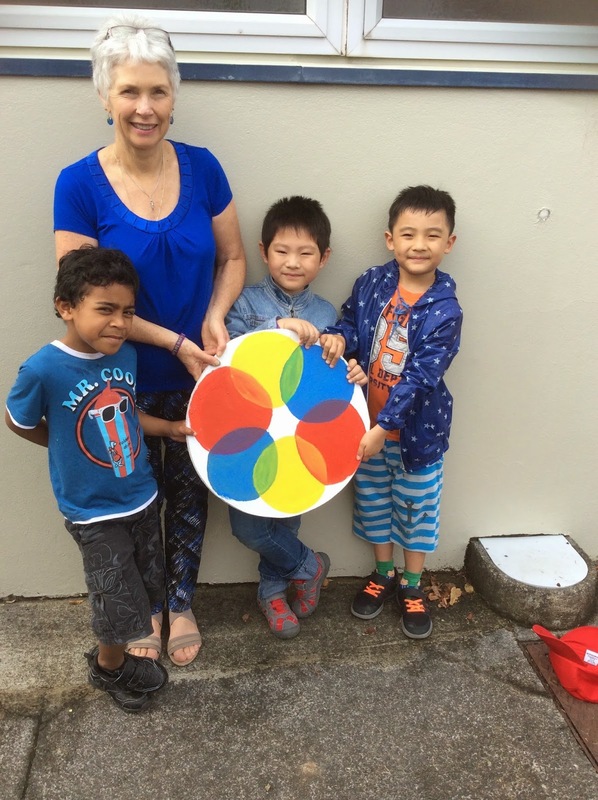 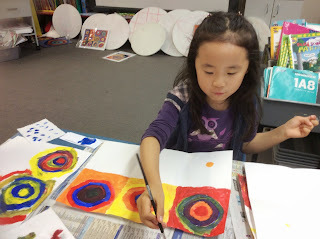 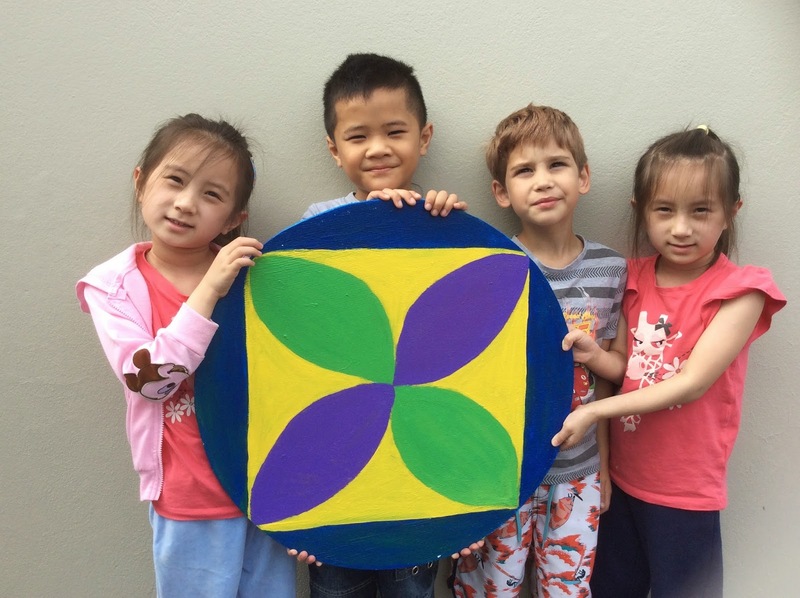 We planned designs to paint onto wooden circles. 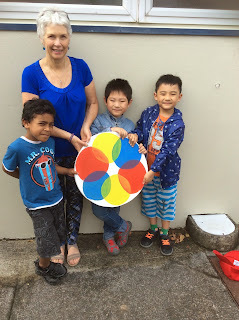 We worked in groups to paint the circles. The circles needed many layers of paint. 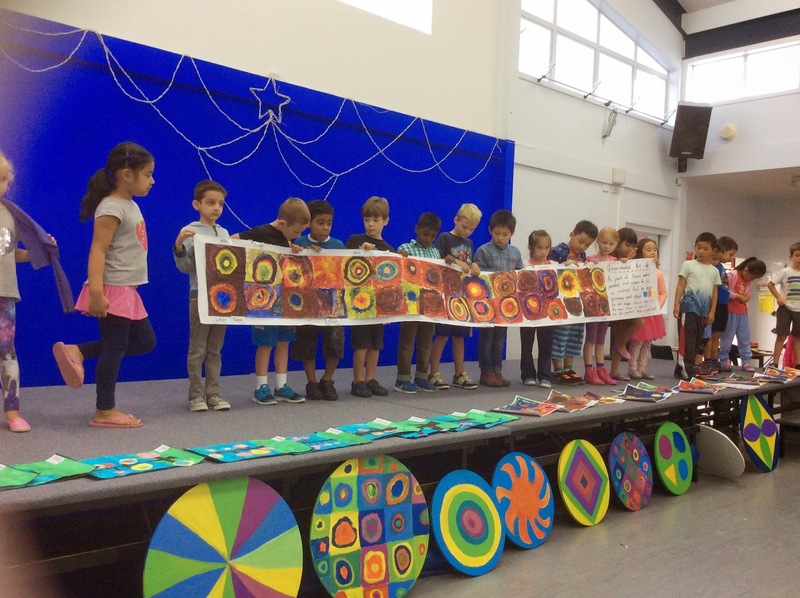 We showed our fantastic creations at a Junior assembly. 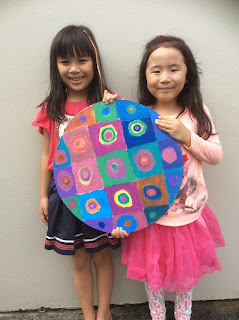 Wow ~~what a beautiful and artistic wor done!! I love the colors and you guys' smile.